Replace filters, clean evaporator and condenser coils and verify proper operation of the economizer on air handlers. Fixtures must be installed at a Fort Collins Utilities commercial water service address. Fixtures must be purchased in the 2019 calendar year with paperwork completed by Dec.15, 2019. Rebates of $1,000 or more require pre-approval. Email YnVzaW5lc3NAZWZmaWNpZW5jeXdvcmtzLm9yZw== for more information. Rebates may be applied to new construction if fixtures exceed current code requirements. Purchase and install eligible equipment. Get your rebate (allow up to eight weeks for credit processing). 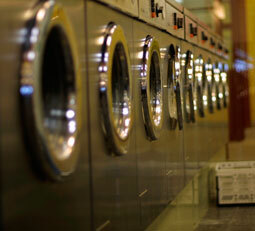 Click here for residential clothes washer rebates.